Do I Have Grounds For A Delay Claim? A modern-day construction project will encounter delays simply because life happens. However, in some cases, a delay will go beyond the standard or expected time frame, and begin to cause real trouble for those involved. While sometimes a delay must simply be borne, there are certain instances in which you may be able to seek compensation for productivity loss from the responsible party. There are many different reasons why a construction project might be delayed including bad weather, delayed finish selections, unforeseen conditions and design problems. Some delays are compensable, meaning that the party delayed is entitled to receive a time extension and money to make up for that delay. Some delays are excusable, but noncompensable, meaning that the party delayed is entitled to a time extension to complete the project, but not to extra compensation to make up for the cost of the delay. It is important to understand what the critical path and critical path method is when considering a delay claim. The critical path method is a theory by which projects are planned out, and it is used, to some degree, in almost every construction project undertaken. The critical path identifies what items of work must be completed in order for the next item of work to be performed. A simple example is that drywall must be installed before a wall is painted. As there are always little glitches in productivity, it is only when the critical path is affected that a delay can lead to additional time or money or both being granted. There are numerous other issues that can come into play regarding delay claims. They include the presence of a “no damages for delay clause,” provisions for liquidated damages for delay, requirements that various types of notices to be provided and whether releases were signed which might unwittingly cause the right to seek delay damages to be waived. Delays do happen, but some are avoidable. 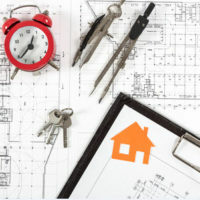 If you believe your project has been tainted or damaged by unreasonable delays, consulting an attorney is a good idea. You may not wind up being compensated for your trouble, but if nothing else, you will have a greater understanding of how the law works. The Jupiter construction delay attorneys at Linkhorst & Hockin, P.A. are ready, willing and able to try and assist you with any questions you might have. Call us today to set up an appointment.